A debug probe is used for both flashing and debugging the board. This board is configured by default to use the LPC-Link2 CMSIS-DAP Onboard Debug Probe, however the pyOCD Debug Host Tools do not support this probe so you must reconfigure the board for one of the following debug probes instead. 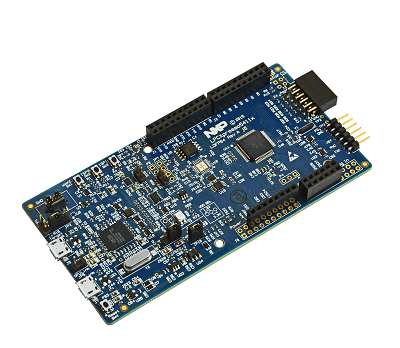 Follow the instructions in LPC-Link2 J-Link Onboard Debug Probe to program the J-Link firmware. Regardless of your choice in debug probe, we will use the LPC-Link2 microcontroller as a usb-to-serial adapter for the serial console.